Hey, busy week, it’s almost the weekend. 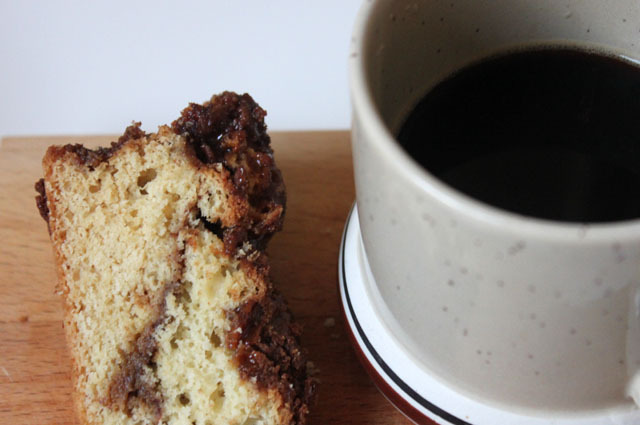 How about some cake to go with all that coffee you’ve been drinking? SKOR. 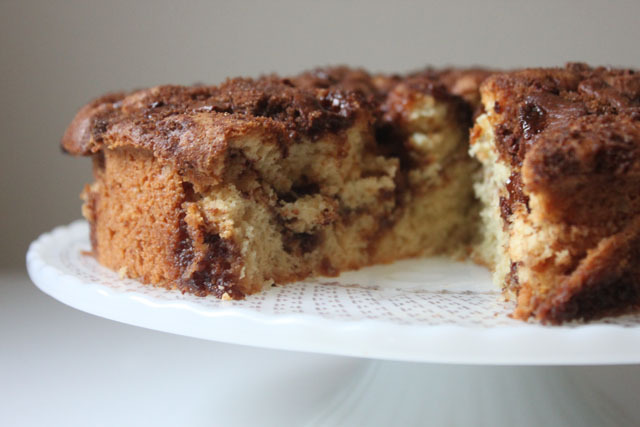 I made a coffee cake (used dark brown sugar, less vanilla, all purpose white flour–once used whole wheat and not nearly the same) and topped it with chunks of SKOR (3 bars). 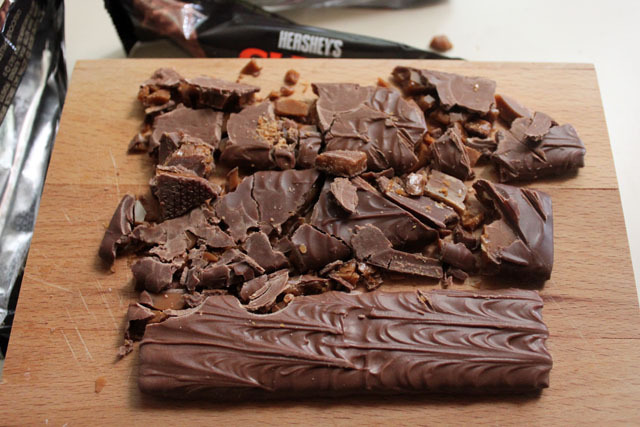 Baking and hammering candy bars are therapeutic over here. 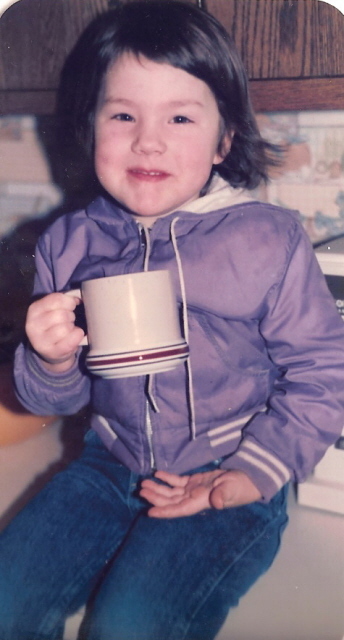 For nostalgia, I dug up this photo that documents my first taste of coffee. We made homemade doughnuts on Sundays every now and then, and my dad let me drink out of his mug that time. Which reminds me – it’s almost jacket season! Now, where can I find an awesome purple windbreaker in my grownup size? you were (and are) THE CUTEST KID EVER and you should wear your hair like that always! i am. in love with this photo! Looks like Amy to me – what ever happened to that girl ? still in here, Uncle George! this girl is a fighter. You haven’t changed a bit, well maybe a little. Gorgeous picture and that toffee cake? Yes, please! you know what I haven’t forgotten – that white choco bread pudding with berry compote that you made at your folks’ lake house. Love, love, love that picture and the feelings your entry conjure up about special times and special treats with dads. Thank you! You had me at ‘toffee cake’.